The musical trio The Comet Is Coming formed in London in 2013 when King Shabaka (Shabaka Hutchings, saxophone) appeared stage-side, instrument in hand, during a performance by Soccer96, the formidable drums and synths duo of Danalogue (Dan Leavers, keys/synth) and Betamax Ohm (Max Hallett, drums). Exploratory jams were immediately undertaken and dreams born. 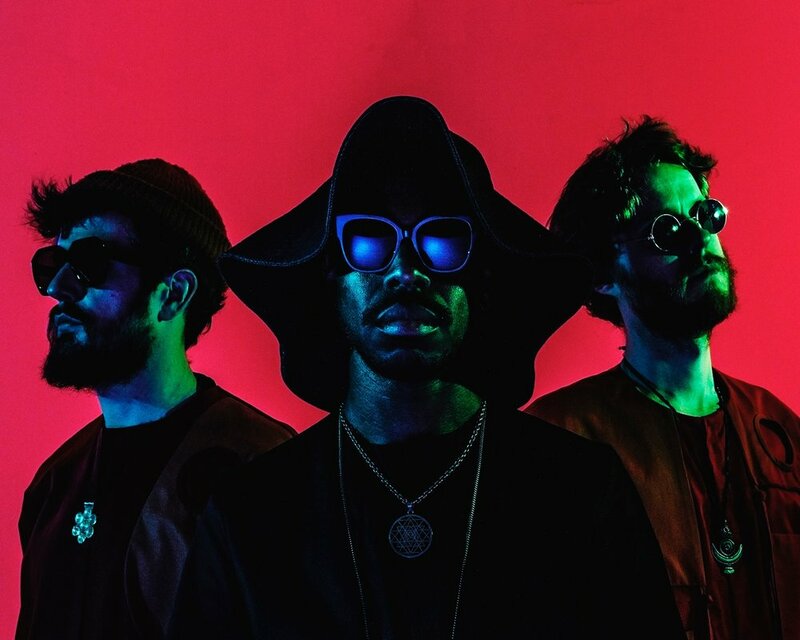 Shabaka, a member of Sons of Kemet and Shabaka and the Ancestors, was already the MOBO-winning leading light of the contemporary British jazz scene. Discovering a shared love for Sun Ra, Hendrix, Can, the LA beat scene, Mahavishnu Orchestra, and Death Grips, the trio hit the studio immediately to record hours of music that would comprise the EP Prophecy (2015) and debut album Channel the Spirits (2016) plus Death to the Planet released on Record Store Day (2017). Make no mistake, The Comet Is Coming are a three-headed beast, with all music co-written, and Danalogue and Betamax mixing and producing the band’s records. They are nothing short of alchemists, concocting a primordial stew of taut beats, sub-bass, and unhinged sax breaks. They paint pictures of astral planes and neon seas, with driving beats and celestial melodies. Their music brings us back into being through creation myths and the inception of life itself. The Comet Is Coming was shortlisted for the Mercury Music Prize in 2016. They released their new album, Trust in the Lifeforce of the Deep Mystery, in March of 2019.